Have you heard about sedation dentistry and sleep dentistry, but are unclear about the distinction between them? If so, you’re not alone. Many people are confused, and like most terms these terms are used in different ways by different people. So depending on who you talk to, sedation and sleep dentistry are either the same thing, related terms, or completely different areas of dentistry. This page describes some of the distinctions between these two terms, but if you would rather learn about the distinction by talking to a dentist in person, please call 614-372-8222 or email Michael Firouzian, DDS in Columbus, Ohio for an appointment. Sometimes people use “sleep dentistry” as a more friendly-sounding term for sedation dentistry . This is a little bit of a misnomer because you are not asleep during sedation dentistry, you’re just less aware of your surroundings and certainly less anxious. You can hear and respond to instructions by the dentist, but you may not remember much about your appointment. Sometimes people use sleep dentistry to distinguish one type of sedation dentistry from the others. These people use the term sleep dentistry to refer to IV sedation dentistry, a type of sedation dentistry that takes you to a deeper level of sedation. This is not the same as general anesthesia, and you do not actually sleep—you remain somewhat conscious. Sometimes, people use the term sleep dentistry to refer to the treatment of sleep apnea and other types of sleep disordered breathing using oral appliances. This sort of makes sense, it parallels the use of “sleep medicine” to refer to treatment of these disorders by other doctors. Obviously, there are a lot of ways people use the term sleep dentistry, which can make it very confusing. To maintain clarity, we always use the term sedation dentistry to refer to overcoming dental anxiety with medication. 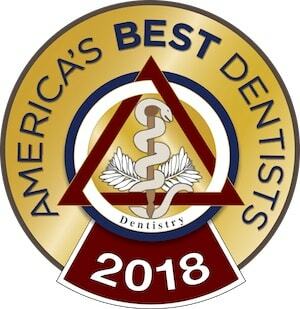 To learn more about sedation dentistry and whether it is right for you, please contact Dr. Michael Firouzian in Columbus, OH for a consultation today.